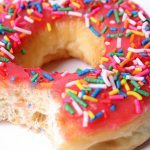 You are here: Home / All Articles / Eggs, Nutrition, and Cholesterol — Good or Bad? Ah, the good ol’ egg. To eat or not to eat? There is a lot of contradicting information about eggs. And that is a HUGE understatement. Even cardiologists are giving out misinformation. “What?! Can’t Be!” You may exclaim. Of all people, shouldn’t they know the answer? Well, not necessarily. Most don’t study nutrition on an in depth level. Even prestigious websites such as the Mayo Clinic has false information given by one of its cardiologists that has a column (I emailed them about it). Eggs can be either good or bad depending on several factors. Specifics such as, what the chickens are fed, how they are raised, and how the eggs are cooked can determine if eggs are healthy or unhealthy for a person. And, of course, if an individual has adverse reactions to them such as an allergy. But let’s focus on cholesterol. There is no evidence that fresh eggs (not powdered) raise cholesterol (If I’m wrong, please prove this to me. Show me the studies!). In fact in a recent British study where people were put on calorie restrictive diets, but one group ate 2 eggs a day, both groups lowered their cholesterol, showing that the eggs had no detrimental effect. 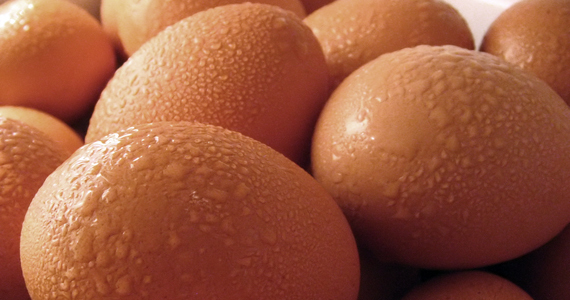 Eggs are high in cholesterol, so people falsely think that means it raises their blood (serum) cholesterol. Cholesterol in food, otherwise known as dietary cholesterol, and serum cholesterol are two different things. Cholesterol found in food does not affect blood cholesterol, but rather, saturated fat and transfat raise bad cholesterol in the blood (low density lipids – LDLs). But not all eggs have the same amount of saturated fat and it’s usually low. Some have a good amount of omega-3 fatty acids which actually lower bad cholesterol. The darker gold the yolk, the more nutritious the egg. I try to buy 100% cage-free chicken eggs. That means the the chickens were never confined and able to eat what chickens normally eat when outdoors (i.e. insects, worms, grains). That, sometimes combined with a high quality chicken feed which is usually organic (so it’s pesticide free), creates eggs with a better nutritional content, lower in saturated fat (bad), higher in omega-3 fatty acids (good). The yolks should be a deeper yellow or orange than commercially raised eggs. The shells are usually thicker as well due to higher calcium intake. Commercial eggs are from chickens that are cramped in a cage all day and usually fed corn. Even nationally commercial organic eggs (usually fed organic corn) are not as good as local cage-free eggs. Compare the yolks for yourself. Think about it — healthier, happier chickens produce healthier eggs! Why Did Eggs Get An Overall “Bad” Reputation? In short, it was the cereal industry (go figure). Back in the 1950’s, the cereal industry wanted people to eat more cereal. So they conducted a study on eggs and why people should not eat them. Their study, however, was not done on fresh eggs, but rather on powdered egg yolk. Why should that make a difference? Well, if a yolk is exposed to oxygen and high heat, it becomes oxidized which makes it toxic to our blood and raises blood serum cholesterol in a bad way. Powdered egg yolk is exactly that — oxidized. That’s when eggs are “bad.” BUT, a fresh egg that is cooked so the yolk is not exposed to high heat and oxygen does not have a detrimental effect on the blood and arteries, and therefore does not raise cholesterol like that of an oxidized egg yolk. The foods typically eaten with eggs at breakfast are the culprits for raising bad cholesterol — not the eggs. 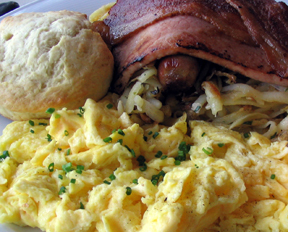 Eggs are typically eaten with unhealthy items that are high in saturated fat (bacon, sausage, butter, etc.) or are refined carbs (biscuits, pancakes, white bread, etc. ), which raise bad cholesterol levels. The association of eggs with these items may contribute to their bad reputation (they’re “hanging out with the wrong crowd”). The company that eggs keep are the culprits of high serum cholesterol, not the eggs themselves. 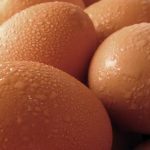 The Basic Nutrition of Eggs – What’s Good About Eggs? Eggs are a germinative food. That means it has everything needed to create life, just like nuts and seeds (makes sense). They are a very good source of quality protein that is easily digestible and absorbed (albumen) which makes them great if you want to build muscle. 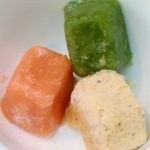 They are nutrient dense with vitamins A, B’s (especially b12), D, E, and K; minerals such as calcium, iron, phosphorus, zinc, iodine, and trace minerals; as well as essential fatty acids. The white is mostly protein and most of the nutrients are found in the yolk. Again, the amount of nutrients and fat depends on what the chicken was fed and how it was raised. The calories found in an egg varies on its size, of course. One large egg is approximately 80 calories, give or take. Personally – Do I Eat Eggs? Yes! I eat eggs (1 or 2) a few times a week. I don’t try to limit my intake, that’s just how often I want them. 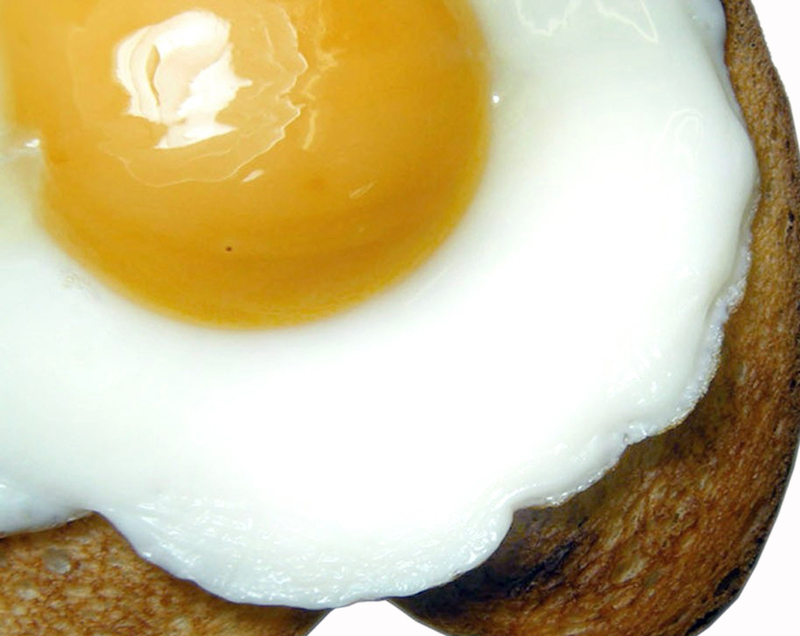 I love a good runny yolk over wheat toast! I also love to eat them with a side of sautéed veggies (either á la Mexican style with fajita seasoning, or French style with tomatoes, basil and spinach.) I always feel good and satiated after I eat eggs and my energy remains steady, if not elevated. 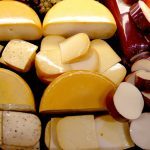 For me, cheese is the “bad guy” and that’s what I usually avoid. More on the detriments of cheese coming soon.